Ekiti PDP Primary: Olujimi steps down for Adeyeye – Royal Times of Nigeria. One of the governorship aspirants of the PDP, Senator Abiodun Olujimi has stepped down for Prince Dayo Adeyeye. 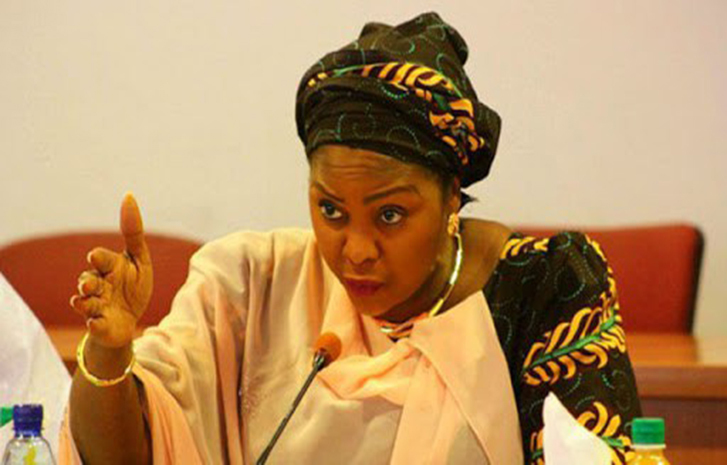 Olujimi, who represents Ekiti South in the National Assembly, announced her withdrawal shortly before the commencement of voting by the delegates at the Eagle Event Centre, venue of the exercise. Olujimi, whose action elicits a loud applause, said she decided to collapse her structure for Adeyeye for the progress of the party. Immediately, the leader of Governorship Primary of PDP in Ekiti state and governor of Delta state, Senator Ifeanyi Okowa, asked Senator Olujimi and her agent to step down from the stage where they sat. He said that her withdrawal had reduced the aspirants to two. “This means that only two aspirants are contesting. Okowa said 1966 delegates are voting to elect the party’s flag bearer. Addressing the delegates before the commencement of voting, he promised that his team would organize free, fair and credible primary for the party. Okowa, who arrived the venue of the event at 1.22pm with his team, also commended the arrangement put in place for the exercise. The casting of the vote has started with the present executive members of the party. Okowa, however, sieved former members of the exco from those to vote when they filed out to vote thereby allowing only 28 present exco members to vote.